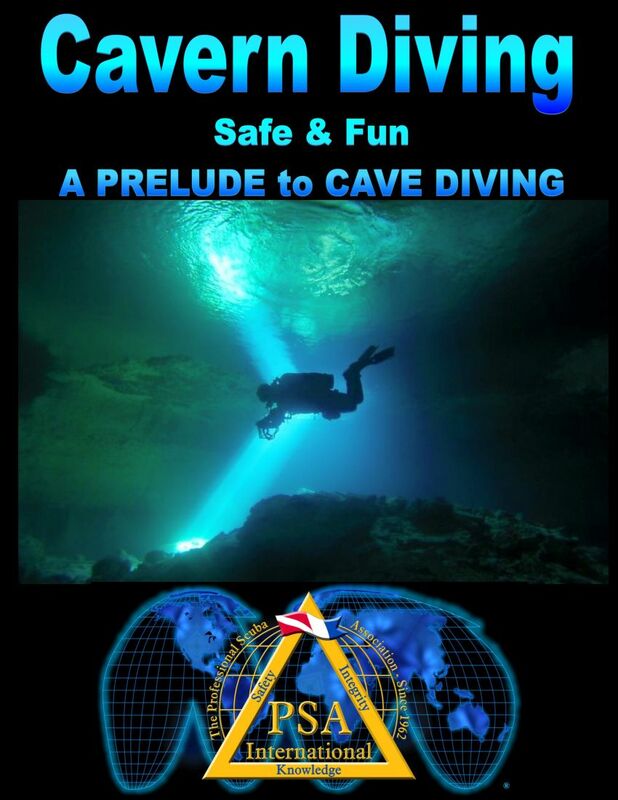 The Professional Scuba Association International’s (PSAI) Cavern Diver course is designed for those divers who wish to enter areas where direct vertical access is not possible while using proper techniques. This includes overhangs, ledges, simple openings and caverns. This course is conducted in the “daylight zone” of any solid (rock) overhead. The diver(s) shall not dive deeper than they have been previously certified. The maximum depth of this course shall be limited to 30 meters (100 feet). Maximum penetration limited to 60 linear meters (200 linear feet) from the surface. Minimum visibility 9 meters (30 feet). The entry must be horizontal; you can “walk home” to open water as opposed to a vertical entry (“chimney”) that requires a directional (navigational) decision to exit the system. No siphons are allowed.